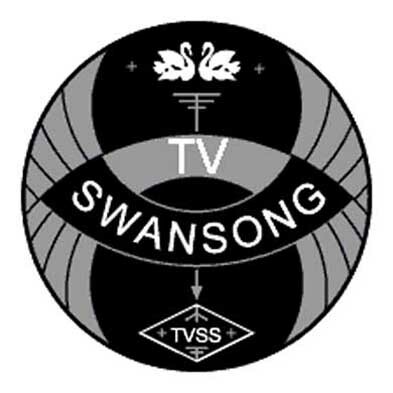 about the project “TV Swansong” was a cross-media art project which commissioned 8 new works reflecting on the current state of flux in television. The artists were encouraged to develop their own individual approaches to the project theme and their chosen site, but they were also asked to consider how this type of dissemination (via the webcast) may affect or enhance their practice. The artists were Giorgio Sadotti, Jordan Baseman, Graham Fagen, Chris Helson, Pope & Guthrie, Zoë Walker & Neil Bromwich, Jessica Voorsanger and Rory Hamilton & Jon Rogers. “Swansong” was the inaugural project of ‘Somewhere’. The transmission of “TV Swansong” occurred simultaneously over different public sites as diverse as Blackpool Tower, a working quarry and a children’s TV show. Viewable from anywhere with an Internet connection, the webcast was available in diverse locations from libraries to art galleries and private homes. about artist and participants The artists Nina Pope (1968) and Karen J. Guthrie (1970) live and work in London and Cumbria. They have worked in collaboration since 1995 developing their own projects and more recently as co-directors of ‘Somewhere’. ‘Somewhere’ is an organisation which generates and promotes innovative cultural projects with a focus on collaboration, public access and new technologies often explored through live projects with both an on-line and ‘in situ’ audience.